Wilbraham, MA (July 9, 2018) – A car fire was reported in Wilbraham, Massachsetts Sunday evening. According to Captain Kevin Brown of the Wilbraham Fire Department, a person was traveling along Stony Hill Road when their car suddenly caught fire. The driver had to pull into a driveway at 692 Stony Hill Road. Police and fire officials quickly responded to the scene. The driver was able to get out of the vehicle before officials arrived. There is no word at this time on whether any passengers were in the vehicle at the time of the fire. The driver was transported to a local hospital for treatment of burns. There is no word at this time on what might have caused the fire. The incident remains under investigation by the Wilbraham Fire Department. 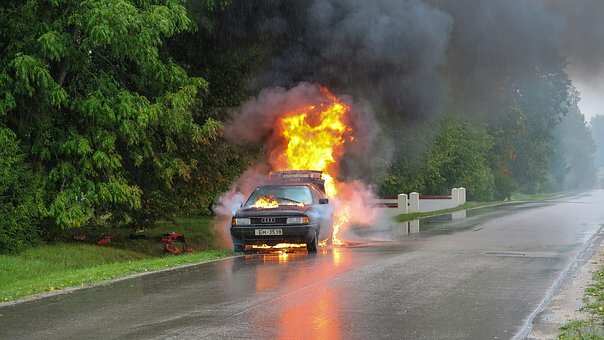 At this time, we do not know what caused the car fire. Investigators will look into all possible reasons, including a mechanical or vehicle defect. They will also consider user error and other factors outside of mechanical defects that could have resulted in the fire. Once the investigation is concluded,we will know more regarding any potential legal responsibility.